Some TV providers are upping their rates in 2016. The price hike may be the breaking point for a number of fed-up customers who believe they’re already paying too much just to get the channels they want. "That for me was the final boom," says Mario Stojanac about a recent notice from Rogers that his cable TV bill is going up. For some time, Stojanac has been contemplating cutting his cable and exploring alternatives like video streaming services. He feels he already pays too much — about $100 a month for big bundles of channels just to get the ones he wants: HBO and sports. "I could care less for keeping those bundles," says Stojanac, a product development manager living in Mississauga, Ont. For him, the new $4 to $5 monthly bill increase is the breaking point, and he's now determined to cut the cord. "I've been talking about it for months, but then this notice comes through and it's the final poke," he says. At least four major Canadian TV providers are upping prices in 2016. The increases are routine and small. But this time it may be the last straw for a number of fed-up customers — customers who can now access content over the internet and believe they're already paying too much. "They're pushing their luck," says Stojanac. Last month, Shaw Direct satellite TV packages went up in price by, on average, $3 a month per customer. Bell raised its monthly TV prices last week by $2. Rogers is upping rates on a number of TV packages on Feb. 24. The company says the majority of customers will see a monthly hike of $3 or less. On March 2, Telus will hike many of its TV deals by $2 to $3 a month. The companies say the extra cash is needed to maintain and upgrade their services and networks. But they're raising rates at a time when cord-cutting is gathering momentum. According to its latest quarterly report, Rogers lost 128,000 cable customers in 2015, a drop of 6.3 per cent from the previous year. 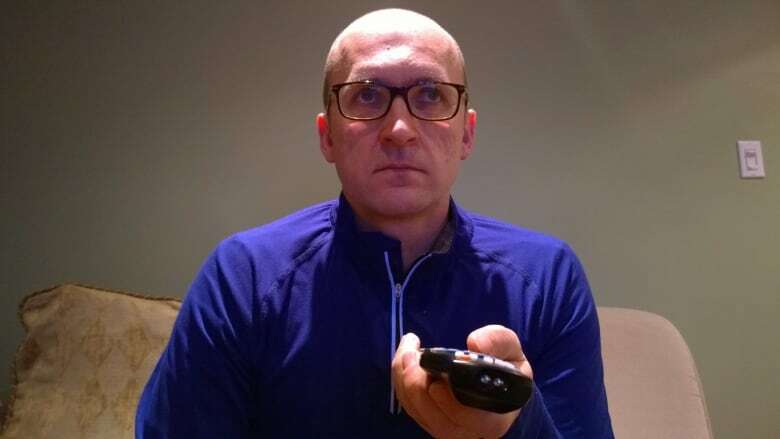 A recent internal CBC research report found that 16 per cent of Canadians didn't pay for a traditional TV service in 2014, up from 12 per cent in 2011. The report's findings are based on a survey of 8,000 Canadians in the fall of 2014. The number of cord-cutters is still a drop in the bucket; roughly 11.5 million Canadian households still subscribe to traditional TV. But some of those customers are toying with the idea of cutting ties. The CBC report also found that 20 per cent of TV subscribers say they're interested in cutting the cord. For those people, could another small price hike be the final nudge? "It could definitely push them over the edge, there's no question about that," says Mario Mota with the Ottawa-based media research firm Boon Dog Professional Services. He points out that there's a growing number of streaming services that offer an abundance of content at a cheap price — a standard Netflix subscription costs $10 a month. Rogers's Shomi and Bell's CraveTV are even cheaper. "It's a risky game in this environment when there is so much choice out there," says Mota about the current rate hikes. An online Shaw Direct discussion forum shows some of the anger the company's latest TV bill hikes have sparked. A number of people threatened to cancel their service. One irate subscriber complained to Shaw, "Customers know that prices are declining for content. You seem to be locked into a model that has no future." Another customer told the company, "Pretty soon you will have priced yourself right out of business." Stojanac says it's not even the $4 to $5 increase that's pushing him over the edge. It's the fact he already feels gouged by his cable company and now realizes "things aren't going to change." Rogers says customers are getting a bang for their buck with more viewing options and added programming like live sports broadcasts and movies on demand. "I still think we have a lot of content that they will want to pay for," says Rogers CEO Guy Laurence during last month's earnings call. Stojanac isn't buying in. He doesn't want more content; he just wants his favourite channels at a lower price. There may still be hope. The CRTC is forcing TV providers to dole out more choice. By March 1, they must offer a so-called "skinny" basic TV package priced at $25 or less plus added individual or bundled pick-and-pay channels. It might be an option for customers like Stojanac looking for a more selective, cheaper deal. But so far, the big TV providers have kept quiet about their plans. That makes it difficult for disgruntled customers facing bigger bills to plan ahead. If the new choices don't work out or aren't revealed in time for Stojanac and other dissatisfied viewers, the latest price hikes might be the finale — the point of no return for a number of traditional TV customers who decide it's time to pull the plug.